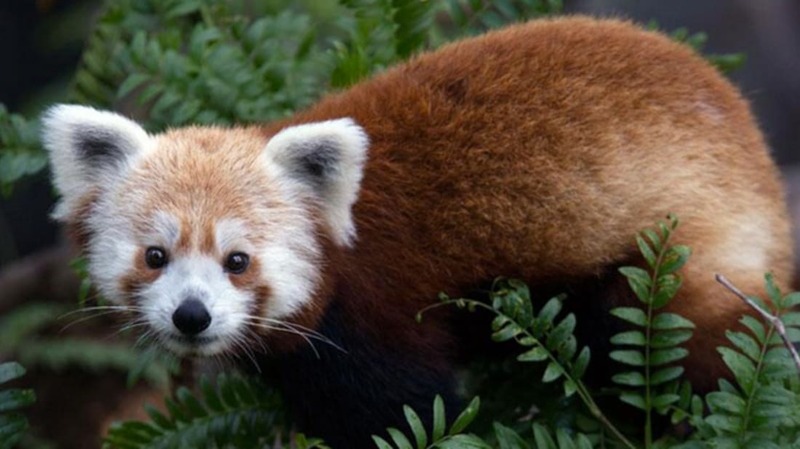 Earlier today the National Zoo in Washington asked for help locating Rusty, a red panda who'd gone missing. "If you do see Rusty," the Zoo tweeted, "don’t try to approach him. Stay where you can safely keep an eye on him and alert the Zoo (202.633.4888) immediately." As we wait for good news on Rusty, check out these stories of other animals who made a break for it. Anyone who's watched a jailbreak movie knows that you won't get far without stealing a set of wheels. Even Juan knew that, and he was a bear. Juan, an Andean spectacled bear, made a daring escape from the Berlin Zoo in 2004. He rode a log across a moat designed to keep bears in their habitats, and then scaled a wall to gain his freedom. His first stop? The zoo's playground, where he terrified parents, rode the merry-go-round, and went down the slide. After a few minutes of play, though, he started to wander around again. 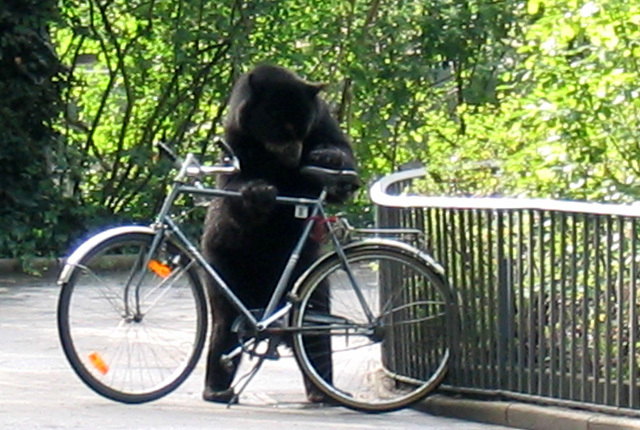 Zookeepers needed a way to distract Juan, so they set a bicycle in his path. As Juan inspected the bike—possibly to see if it was a worthy vehicle for his ride to freedom—his handlers nailed him with a tranquilizer dart and carried the sleeping 300-pound bear back to his habitat. You may be impressed by escape artists like David Blaine, but orangutan Fu Manchu scoffed at such escapades. (Or he would have if orangutans could scoff.) Fu Manchu made his first jailbreak from Omaha's Henry Doorly Zoo in 1968; his keepers assumed someone had accidentally left the door to his cage open. They coaxed Fu Manchu and his family back into their habitat, and everything seemed normal. Or at least it did until Fu Manchu escaped again. And again. After the third breakout, Fu Manchu's handlers started keeping a closer eye on him. Eventually, one of them noticed something shiny in the orangutan's mouth. It turned out to be a piece of wire that Fu Manchu had shaped to fit in between his lip and gums; it was also the lock pick that he used to make his daring escapes. His cage was stripped of all wires, and Fu Manchu's brief stints on the lam came to a close. Reggie the alligator has had a fairly odd life. His first home was in the backyard pool of his original owners. Eventually, though, these owners realized that a 6-foot gator probably wasn't the smartest thing to keep around, so they did what any reasonable, considerate human beings would do: they dumped Reggie in an urban lake in Los Angeles in 2005. At that point, Reggie became the city's problem, and L.A. endeavored to capture the reptile before he could cause any mischief. Unfortunately for the city officials, Reggie wasn't so keen on being caught. Despite their best efforts, animal-control officers couldn't nab the gator; even calling in professional "gator wranglers" didn't help. Two years and $180,000 in expenses later, Reggie finally let his guard down long enough for officers to capture him. Since he was something of a local celebrity by this point, the L.A. Zoo took Reggie in. Apparently Reggie wasn't too pleased with this situation, either. Just days after his public debut as a zoo gator, he scaled a five-foot wall to escape his habitat. Workers found him lounging on a loading dock before the zoo opened the next morning. Reggie isn't the only gator to make a notable escape. When Hurricane Ivan threatened Gulf Shores' Alabama Gulf Coast Zoo in 2004, zookeepers evacuated as many of the resident animals as they could. Unfortunately, they couldn't take their alligators with them. The hurricane's storm surge then destroyed the gators' habitat and allowed them to escape. Although a handful of gators escaped, Chucky got all the publicity due to his size; he was 12 feet long and weighed half a ton. Zoo officials worried that since Chucky had been fed by friendly humans for 14 years, he wouldn't hesitate to approach people and potentially eat them. Chucky remained at large for five days until he was finally captured by the Alligator Retrieval Team from Orlando, Florida's Gatorland. 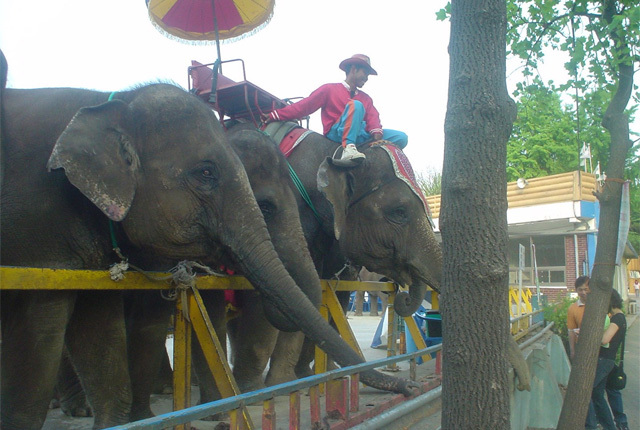 The Seoul Children's Grand Park had a daily parade of elephants outside of their habitat in 2005. Everything was delightful until the day when one of the elephants became startled and ran off. When the first elephant took off, five more followed. They stampeded into the garden of a nearby home, and while handlers tried to corral them, three elephants took off and stormed into a restaurant. One elephant clipped a woman with its trunk as it charged down an alley near an elementary school. After scaring their fair share of Seoul's residents, the elephants eventually submitted to corralling and returned to their enclosure. Where do the buffalo roam? Pretty much wherever they feel like roaming. They can weigh over a ton, so when they set their sights on an escape, it's tough to stop them. As a result, bison escapes are more common than you might think, and usually don't end well for the animal. However, not all bison breakaways have sad endings. Nine bison escaped from the Oakland Zoo despite being held behind a pair of gates, at which point they wandered off and enjoyed a nice snack of poison oak. Zookeepers tried to lure the bison back to the zoo using hay, but to no avail. Eventually, though, they found the right bait: a trail of Wonder Bread. The bison followed the white bread road and made it home safely. 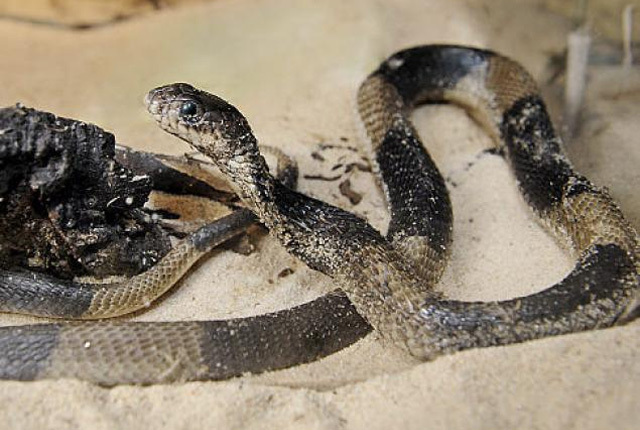 In 2011, most of New York and all of Twitter were focused on finding the Bronx Zoo's Egyptian cobra. The snake turned up six days later a couple hundred feet from her enclosure. Upon her return, the now-famous cobra was named Mia (for "Missing in Action").